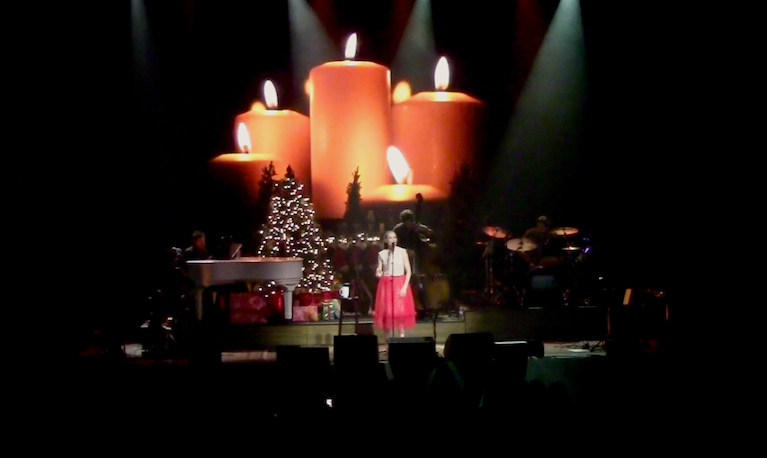 For this month’s EDA Inclusive I’m going to refrain from writing one of my long-winded blogs and simply share with you one of the loveliest performances from Jewel’s recent Handmade Holiday Tour. I shot this footage on December 19th at the third-to-last stop at The Bergen Performing Arts Center in Englewood, New Jersey. Her performance of “Ave Maria” was particularly remarkable on this night, not only for the performance itself, but because Jewel remained focused despite a fight breaking out in the audience during the song! You won’t hear that distraction on the recording, as I had Mike Larcey’s beautiful house mix feeding directly into my camera, but there was some serious commotion going on at the time. For everyone who made it out to the shows, I hope this brings back a fond memory and for everyone else, here's another taste of the tour.